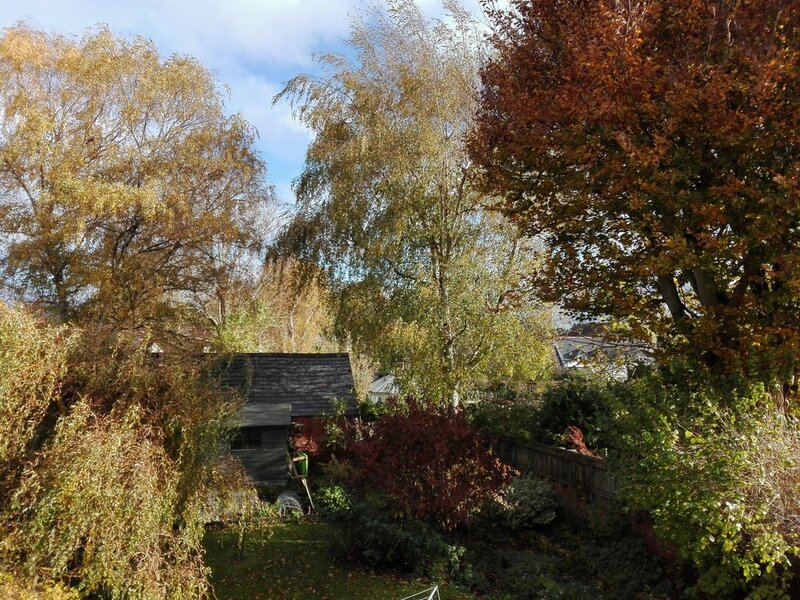 We may be a couple of maples short of New England, but there are lovely Autumn colours in the garden this week from the Willow, Silver Birches and Beech around the garden boundary. Birds in the garden have dropped off quite a bit and the feeders are mostly quiet, but there has been some visible migration overhead, particularly of fieldfares, redwings and skylarks. When the weather turns cold again I expect the small birds will brave the neighbourhood cats and the regular sparrowhawk to come into the garden again.